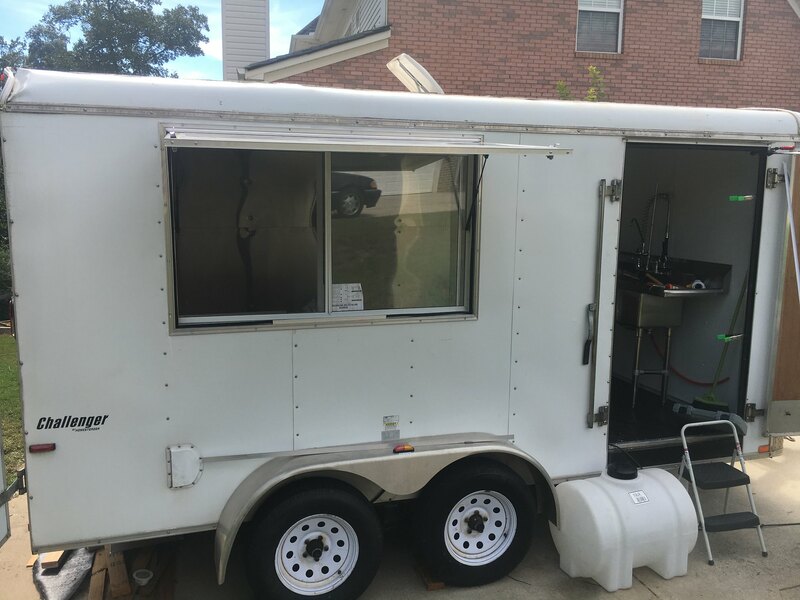 I am back, hanging my head in shame and regretting ever selling the food truck I built but that was the past and lesson learned. 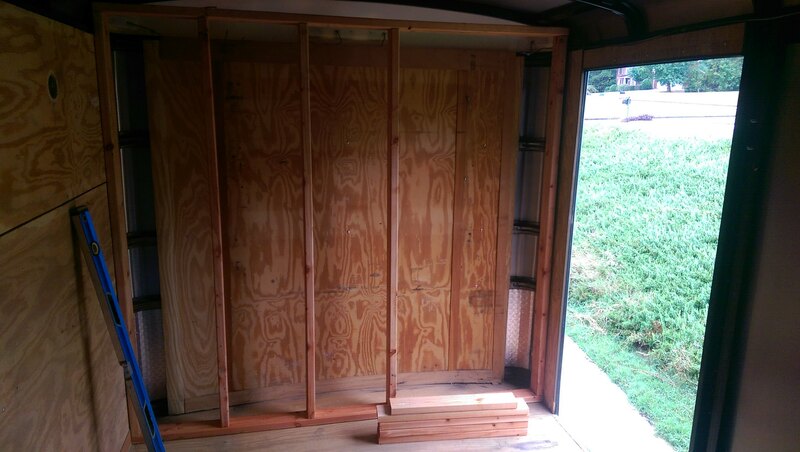 I just purchased a 7x16 heavy duty trailer (3600lbs load capacity) and I am going to step through another build. This build should move quick and I will post as many pictures as possible. 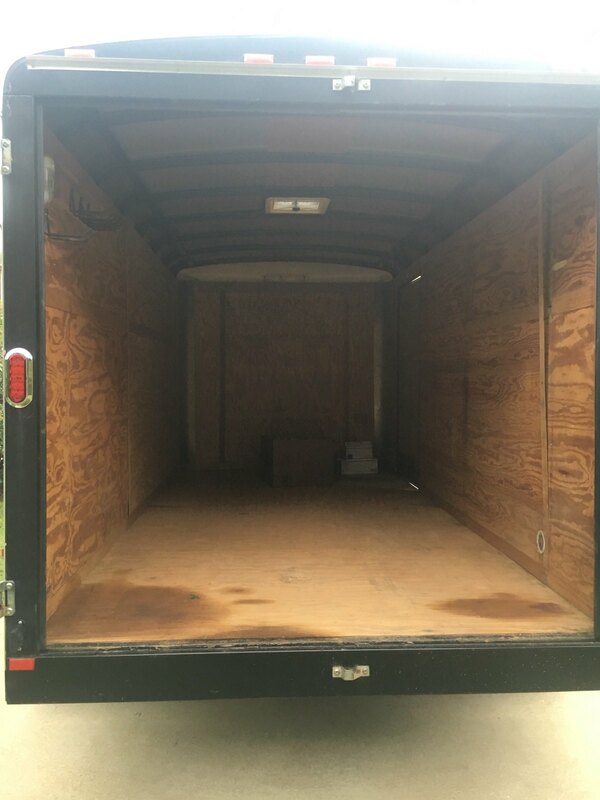 Thanks HPX, I went with a trailer so I would not have to deal with the mechanical issues and maintenance that come with a truck. Much more room in the trailer as well but a pain in the a** to backup into position. I will start the work next weekend once all parts, appliances have arrived and post pictures/videos as I go. In a trailer, weight and balance are ultra important. Keep it simple and keep it cheap. 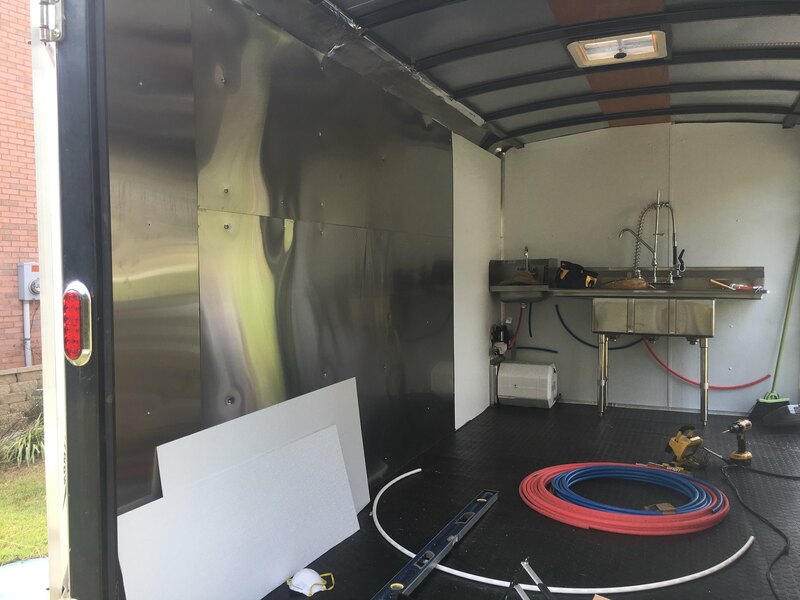 Since I shuttered my restaurant 3 years ago I have been building trucks and trailers for clients. I regularly need to reel them back in to reality. If you start out deep in debt, you are doomed. It is so very easy to fall into the "well, as long as" trap. Do not be afraid of used equipment, food service appliances are in reality very simple machines, why pay for shine instead of utility? What ever you pay into it, you will never get back when you get discouraged and try to sell. 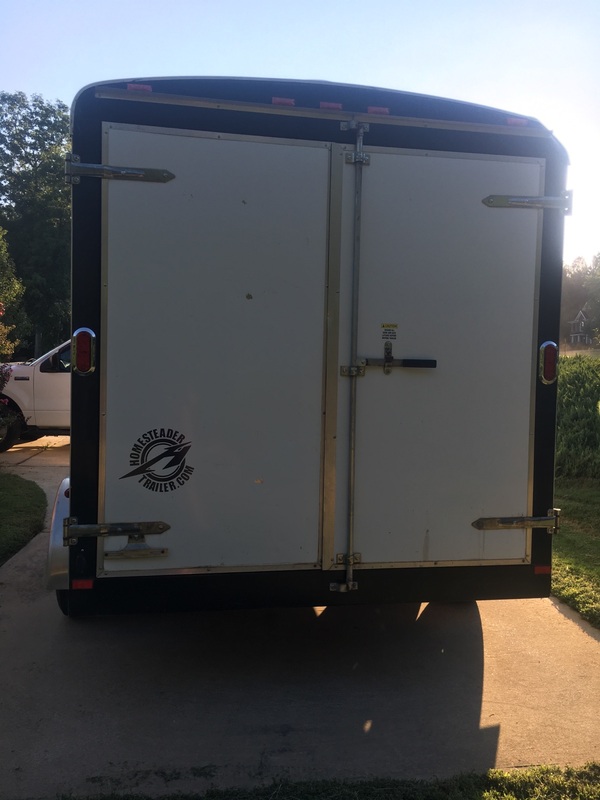 I had a very nice trailer built, the way I wanted it designed with the equipment that I wanted, it was expensive. That was in 2009, I sold it last month for Very close to what I paid for it. Goes to show that if you have well built, well taken care of equipment you can get you money out of it. 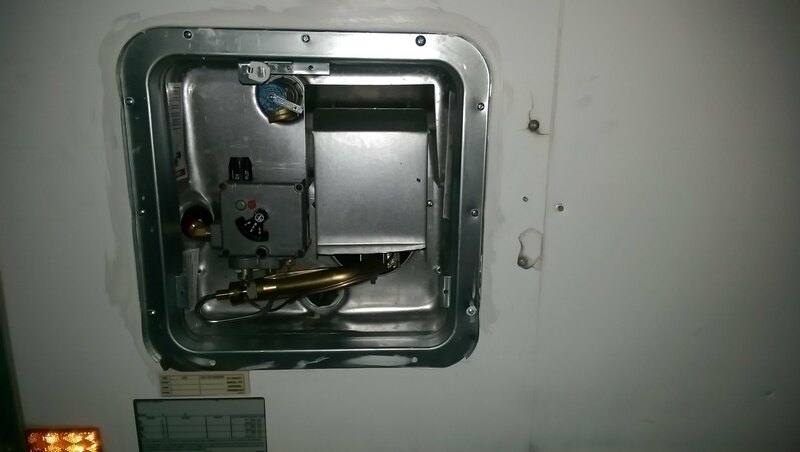 Yes I am watching my budget by buying used equipment but some items which I cannot find used, like the hood vent, I have to purchase new and it is not cheap. 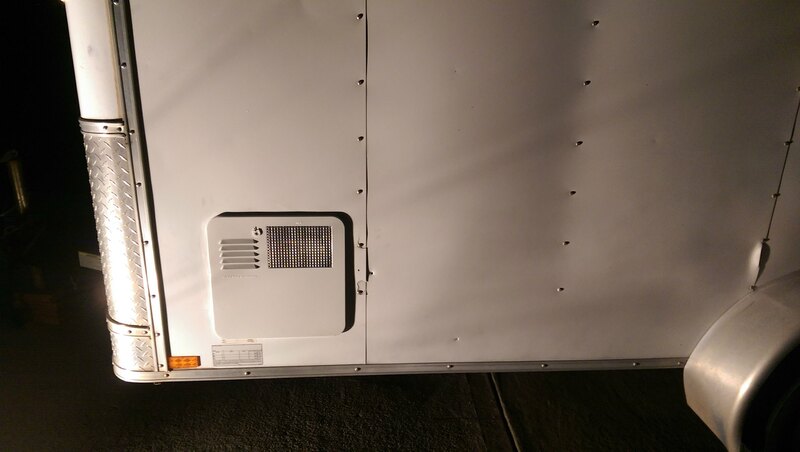 I was able to talk the manufacturer/supplier into letting me pick up the hood vent saving $300 on shipping. So I will get that in 2 weeks. 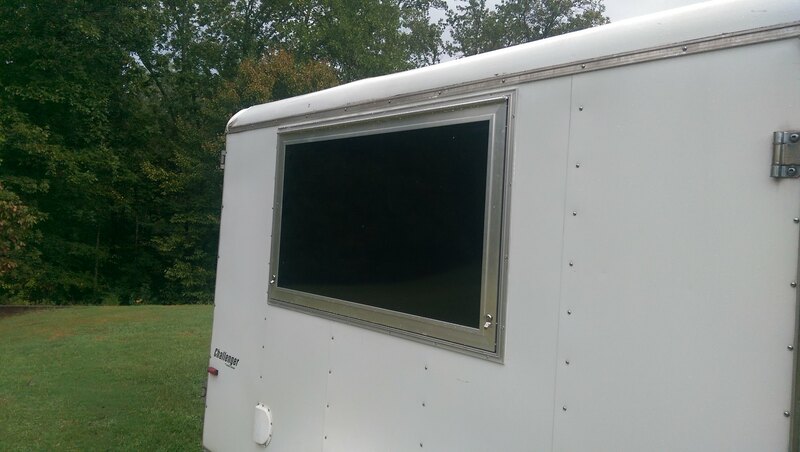 However, I do want the trailer to look professional and top of the line. I found ways to cut corners and still end up with a top of the line end product. 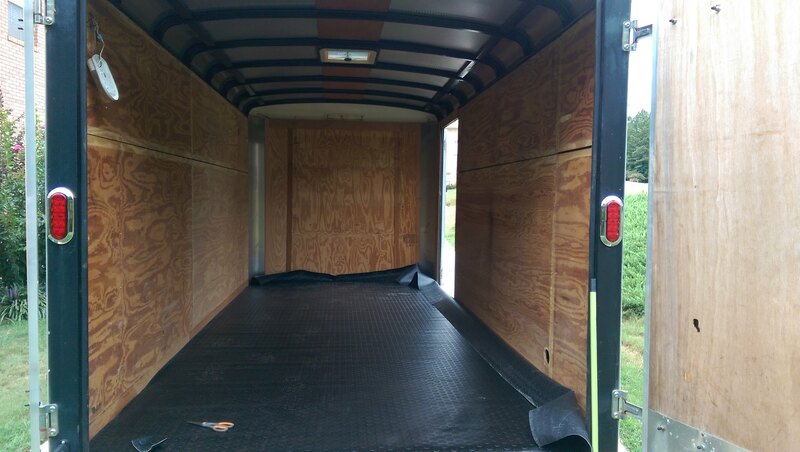 I was going to install shiny diamond plate aluminum flooring but I found IncStores Nitro Commercial Grade Garage Flooring Rolls Coin and one roll will cover the trailer floor, looks good and there will be no seams. 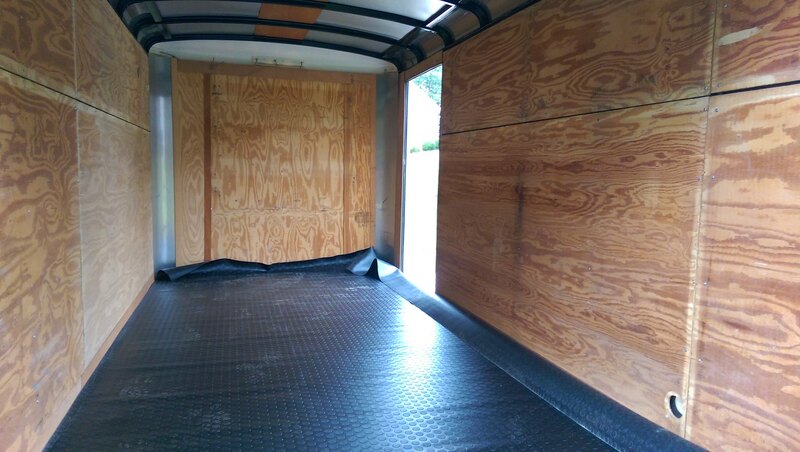 Half the price of aluminum diamond plate flooring. 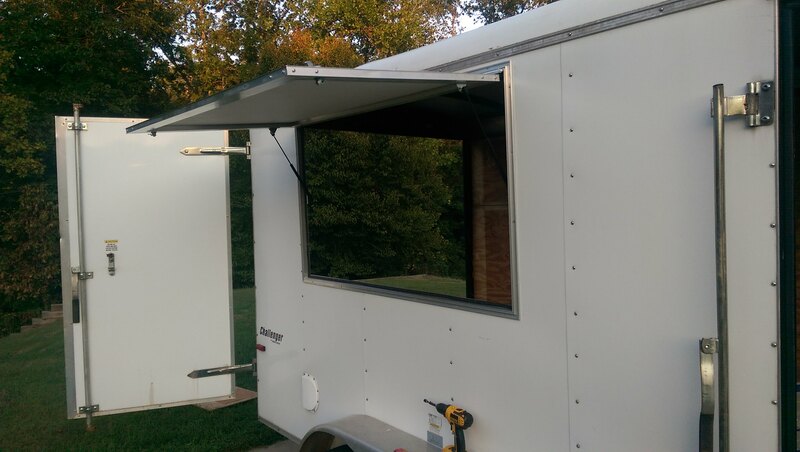 I did order a professionally built window awning 60x36 as the I do not have a mig welder for the aluminum and did not want to build my own awning again, I was not satisfied with the one I built for my truck. @chefbuba, lucky you getting getting close to full price after many years. I agree, a well cared for unit should sell for top dollar. Ha, all LP and a 3K generator, no battery bank this time. 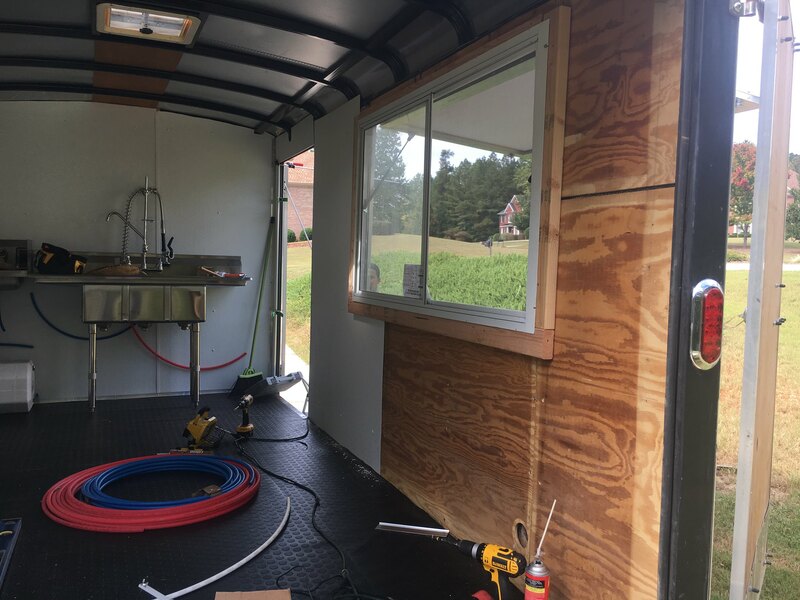 I did not have anytime this weekend to work on the trailer due to my schedule, I was able to partially lay the rubber floor on Sunday evening but it is not cut to fit or glued down as of yet. 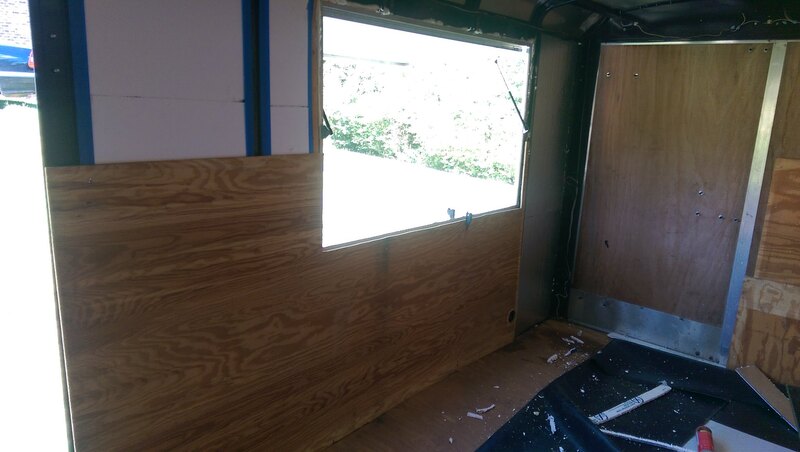 I have to remove the plywood and insulate the walls and ceilings, then FRP and stainless next. Looks good so far! Where did you get the rubber flooring? 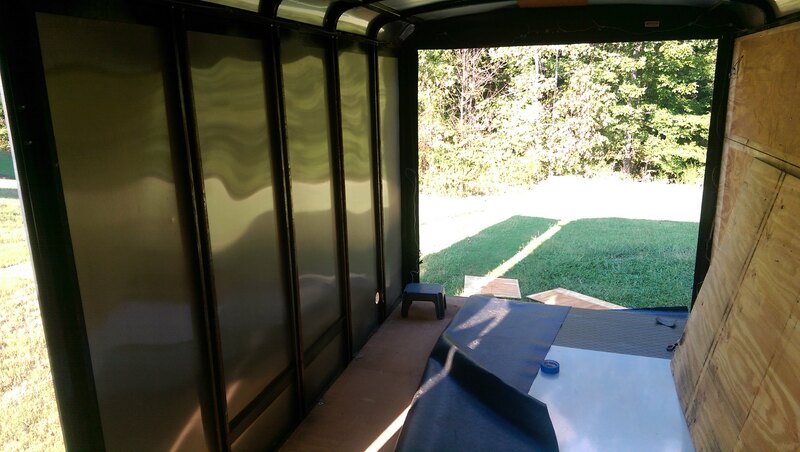 New awning arrived, going to get some work done today and this weekend. Pouring down raining, cannot get much done. Building back wall where sink area will be. Thanks HPX. Still going, I cannot install sink, water heater, etc. 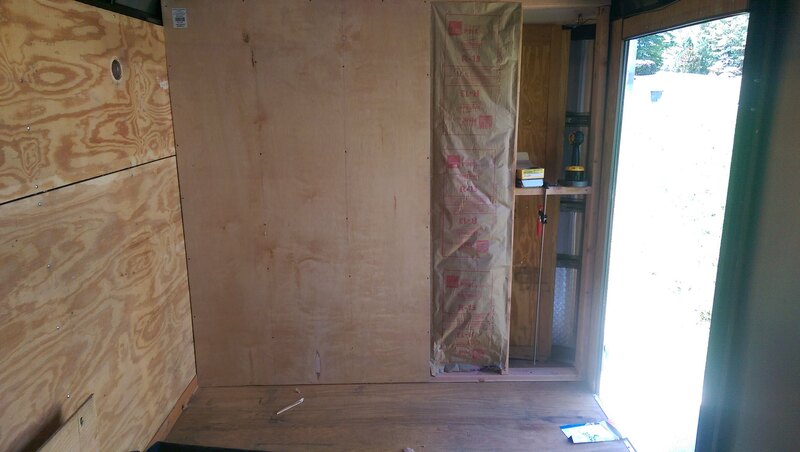 until I get the walls insulated and paneled, almost there. 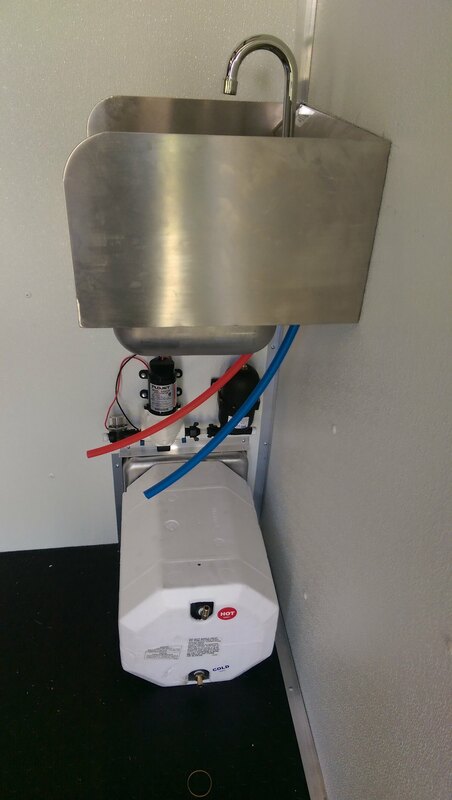 Working on fresh water system, sink, water heater, etc. 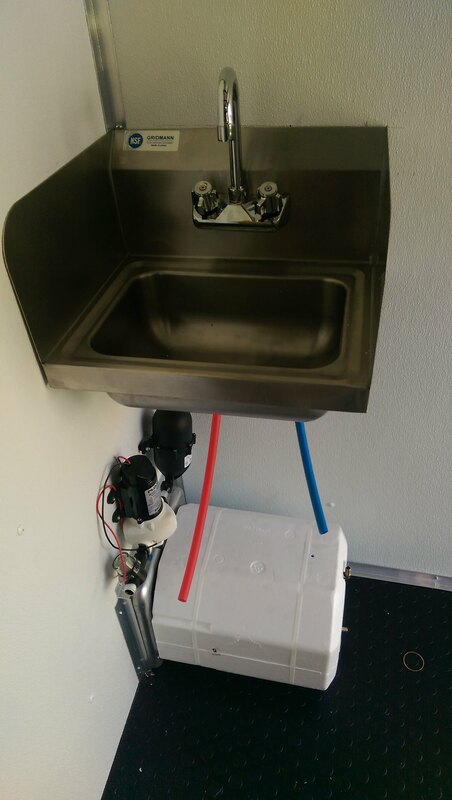 Looks good...nice compact three bay sink. 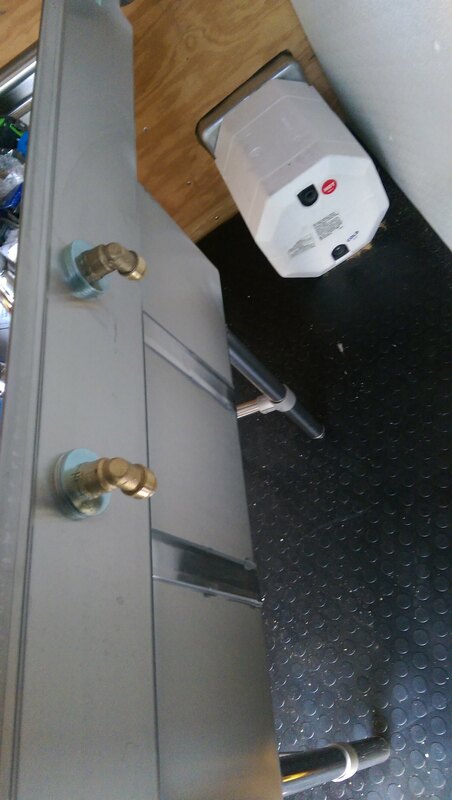 A few more pics of water system. 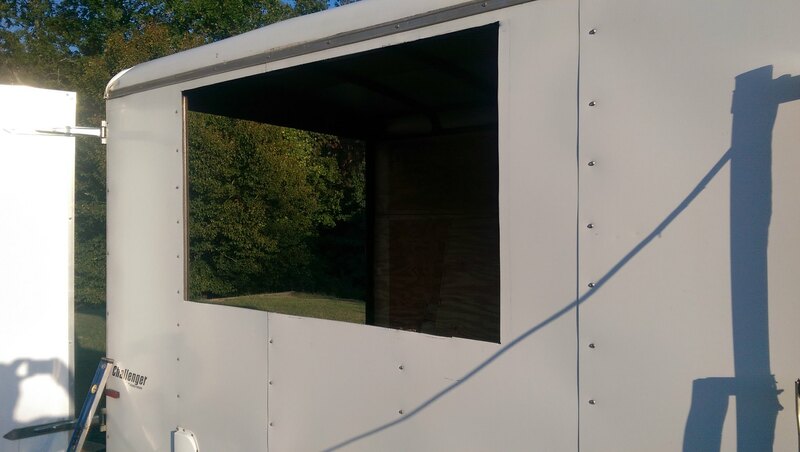 Stainless up, window partially installed but need to wrap in aluminum. 35 gallon water tank is too big need to find a more compact fresh water tank. Dreading the ceiling work, with the curved ceiling edges it's going to be a pain. 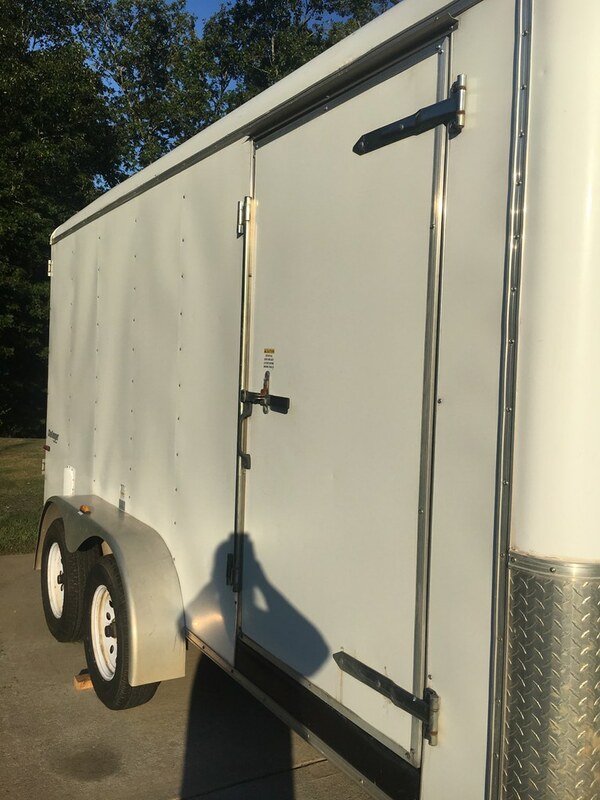 First off, your trailer is looking solid. Nice job so far! I noticed you had a pretty compact 3 compartment sink. Could I ask you how long it is? 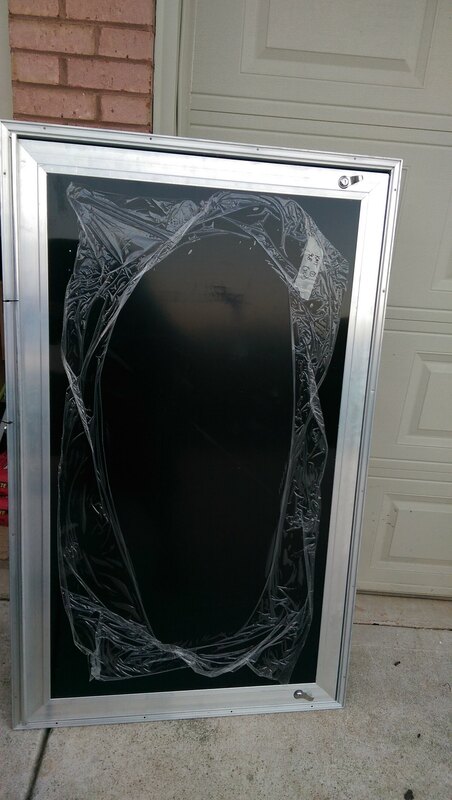 I am having a hard time finding one that will fit in a 52 inch space. Thanks. 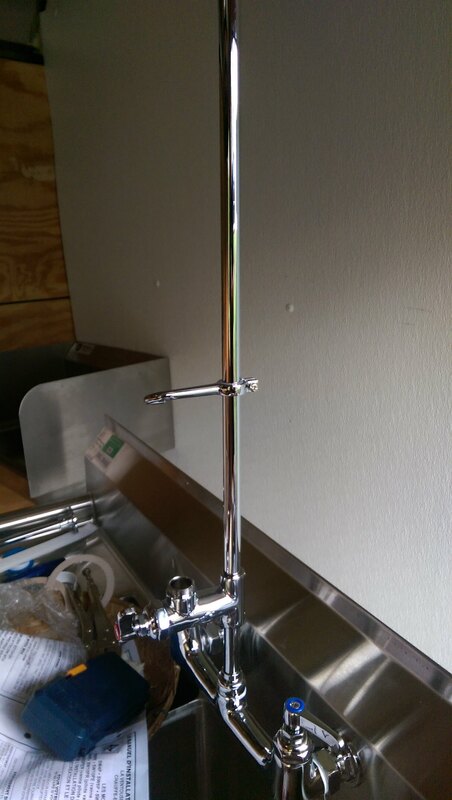 The sink is 54" long. I was lucky to come across it on CL. That is perfect. Would you please look if there is a manufacturer or model number on it when you have a moment? I would like to get that exact sink. I found one that was 54 inches long.. Just took some doing.. I am good to go.. Appreciate it! what water pump are you using.?? and what's other thing right next to it? 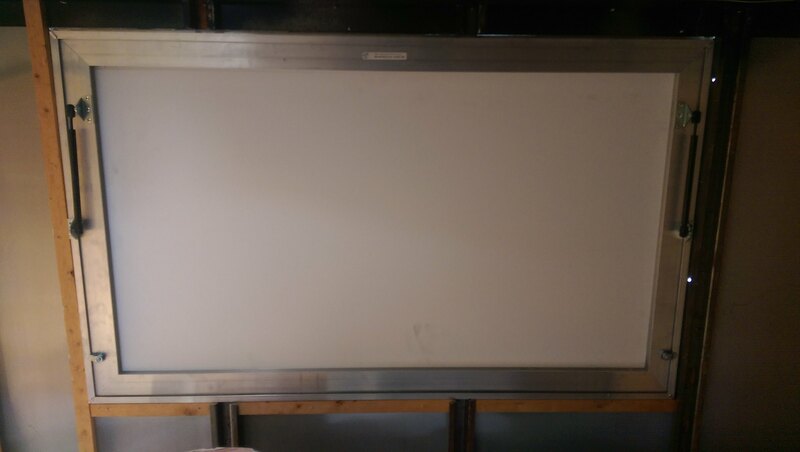 is the accumulator tank necessary? or is it just a bonus? I'm still debating on which fresh water tank and pump set-up to use.. 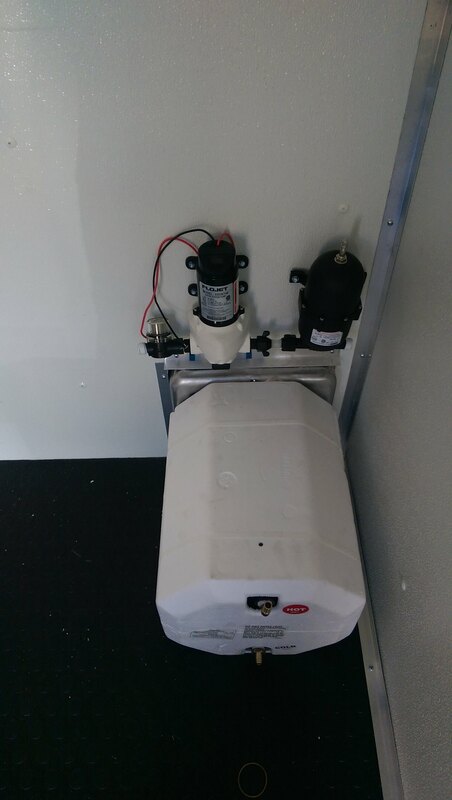 I recently acquired a 40 gal fresh water tank from a rv. which I'm going to be using for the grey water. and I'm also planning to purchase something like this but I read reeses' first truck build , he decided to go with a similar rectangular fresh water tank. but now he's going with the cylinder type one. 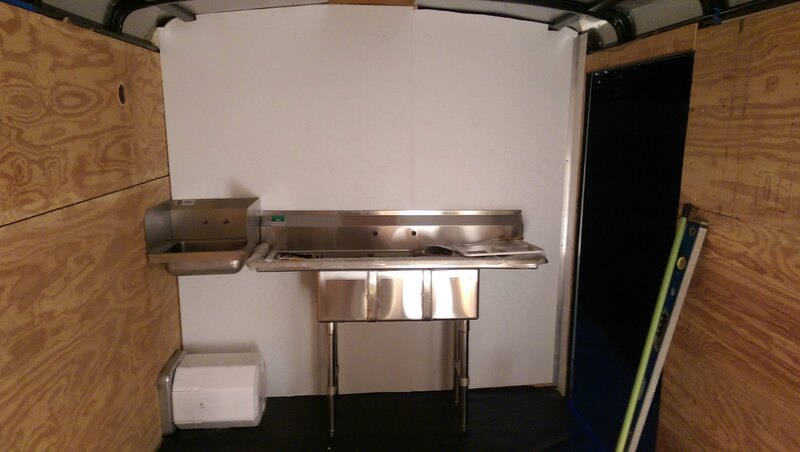 and I also remember that the 2 food trucks that I've worked on before also used the cylinder type tank for fresh water. which makes me rethink this decision. and after checking out the water pumps I noticed that the pumps run off of a 12v. which is something off of a car battery which means that rigging a plug to run off of the geny is a big no-no. so my question is .. will having the pump run off of the step-van's battery, drain the battery? ( obviously it isn't going to be "running" constantly so would it matter?) or is there another route to go with that. im sorry reese if I'm stealing your thunder with my questions. :p I'm just curious that's all.